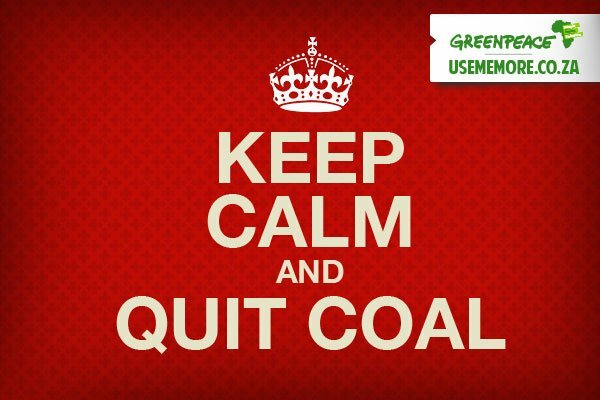 The series of the 'Keep Calm' posters may be a little old and worn for some, however, I thought I'd share this 'Keep Calm' inspired poster by Greenpeace Africa as the message has been perfectly summed up. In a world and society which relies heavily on the mining and production of coal to run, it is important to know that a future can exist without it. This of course means the exploration and development of sustainable energy sources. It also requires for us, the people, to demand other energy sources from our governments and private companies.